Here’s what baseball writers will tell you about spring training in Charlottesville, Virginia. It snows and hails and thunders and pours rain and gusts wind and freezes and scorches. There are plenty of lousy days for baseball and very few good ones. Those writers, roaming around Charlottesville more than 100 years ago, won’t tell you much about the baseball they saw, but they’ll give you an earful about the rotten weather. 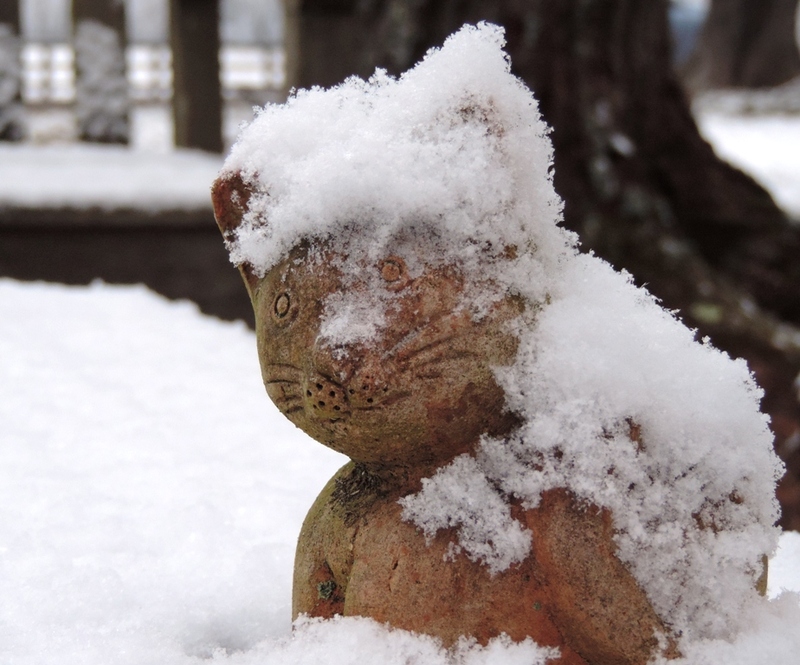 During Virginia’s hybrid time of still-winter-not-yet-spring – spwinter! – there’s no telling what any day will bring. 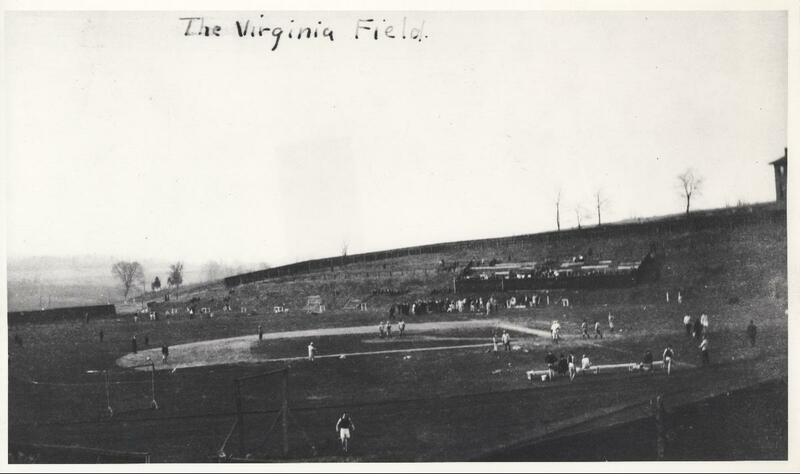 So why did so many teams from 1892 to 1916 come to Charlottesville for spring training? Were they nuts? Or were the grumpy old baseball writers just annoyed that they had to spend a month in a place which was often snowy and always alcohol-free? Today, baseball’s spring training is held in Arizona and Florida, more accommodating and predictable climates, and where the only things you have to worry about are swarms of bees and the Zika virus. But, Charlottesville? “More fickle weather could not be found in any part of the globe,” one Washington Post reporter lamented in 1914 after an early March snowfall. 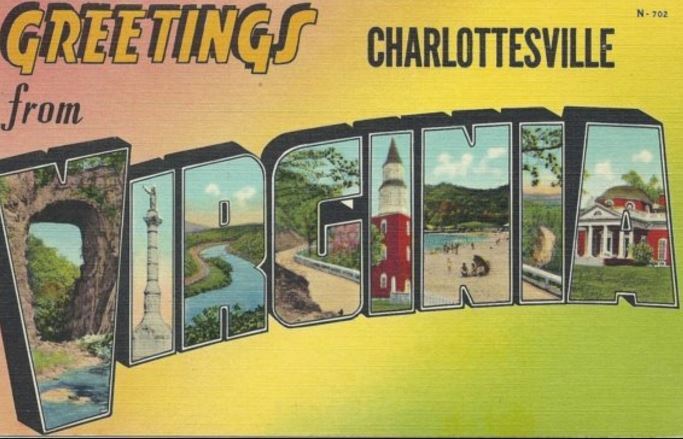 Who would choose Charlottesville for spring training? In 1894, the Baltimore Orioles came through Charlottesville as part of a nomadic spring training tour through the south and took both games against the University of Virginia. The Orioles, then part of the National League, went on to win the pennant. They were a powerhouse, those Orioles. Yup, chew on that O’s fans. A powerhouse. In 1901, the Boston Red Sox (then called the Americans) spent spring training in Charlottesville. It was the Sox’ first season and, history will show that the first game ever played by the Red Sox, the first ball they ever hit, and the first run they ever scored, happened in Charlottesville. The Nats “springed” in Charlottesville in 1905 and ‘06 and then again, under manager Clark Griffith, from 1911 through 1916. Griffith (third from the right) and his Nationals in Charlottesville. March 1915. Griffith, today enshrined in the Baseball Hall of Fame, told reporters each season that his choice of Charlottesville over warmer locales was purely strategic. While some Nats, including future Hall of Fame pitcher Walter Johnson and future Black Sox cheater Chick Gandil, publicly complained about Charlottesville’s chilly dampness, Griffith insisted the cold made his players hardy and prepared them for cool-weather games early in the season. But, Griffith had other reasons for choosing Charlottesville. As one Washington Post story slipped, Griffith also owned a “winter retreat” home there, so training his team nearby was a great convenience. The University of Virginia opened Lambeth Field to the Nats and provided full access to their state-of-the-art Fayerweather gymnasium, which included a swimming pool, one the nation’s longest indoor tracks, and, perhaps most importantly, heat – where the Nats worked out during the frequent days when snow and rain kept them inside. Plus, UVA came complete with a college team ready to scrimmage. 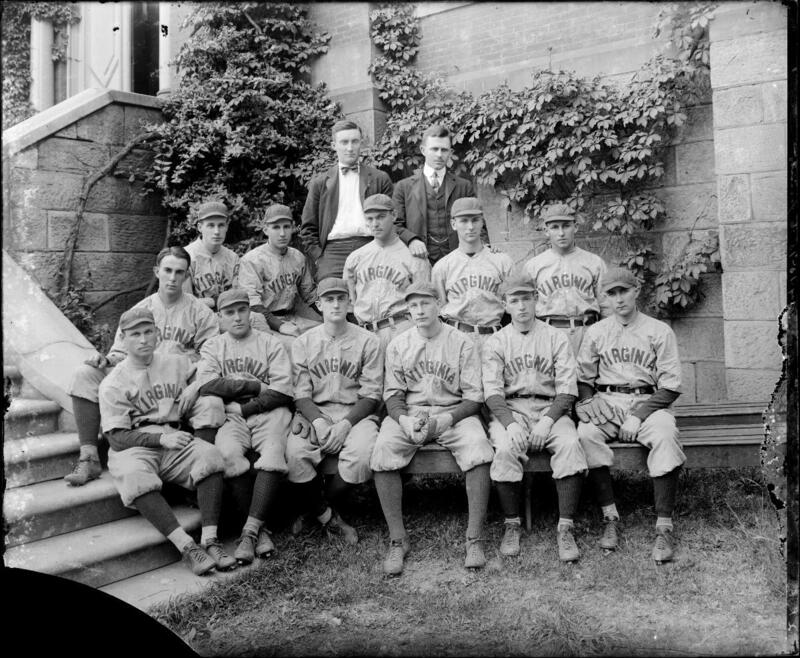 University of Virginia Cavaliers Baseball Team, 1913. Griffith put his team up in a boardinghouse – a former fraternity – with a private cook, close to Lambeth Field. It was cheaper than paying for hotel rooms and “fancy” restaurant meals, as other teams did, and the boardinghouse kept everyone together, making it easier for Griffith to keep a close eye on his players and keep them out of trouble. “It is no knock to Charlottesville to say that its amusement resources are limited,” The Post reported, explaining that two movie theaters were the only form of entertainment and were a mile away. Griffith also told reporters he was happy that Charlottesville was a “dry” alcohol-free town. One reporter called the 1912 spring training camp “Eveless Eden” because, with everyone living two-to-a-room in a boardinghouse, wives and girlfriends were not allowed. But, after every season, Griffith threatened to leave Charlottesville. Some years, he blamed the weather, some years he blamed the inability to secure the right boardinghouse or fraternity or cook, and one year he blamed UVA which had considered increasing its fee to use its field and gymnasium. The Nats were courted by cities and towns in North Carolina, Alabama, and Georgia. Havana, Cuba tried to lure them away. But, he kept coming back. And, everyone complained about the weather. Finally, in 1917, he threatened to leave Charlottesville for good, and he actually did. He packed his team off to Georgia and that was the last they saw of Charlottesville. It still snows here in the spring. And, just like those cranky sportswriters from 100 years ago, I complain about it. The winds are often gusty and cold. Spring rains will chill you to the bone. 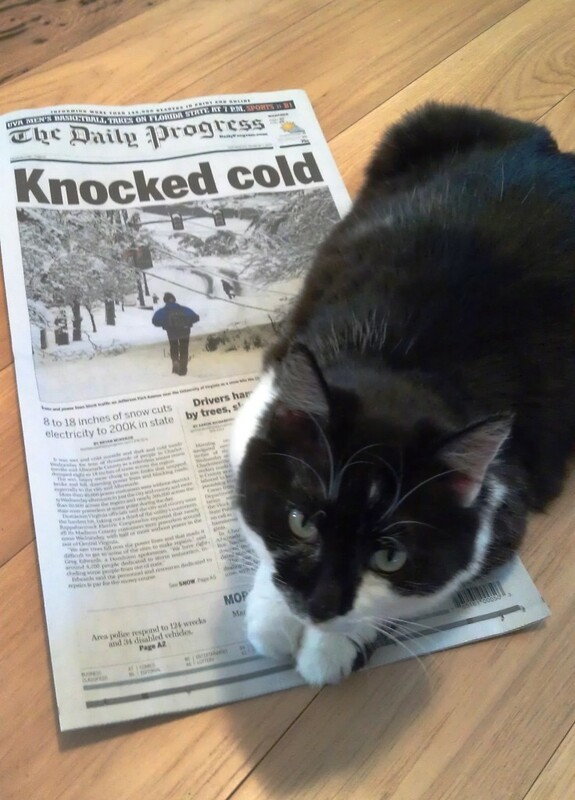 It will sleet on you. Last week, just five days after a snowfall, it was 80s degrees and the air conditioner in my studio wouldn’t start. This morning it is damp and 55. The University of Virginia still plays baseball here in March. 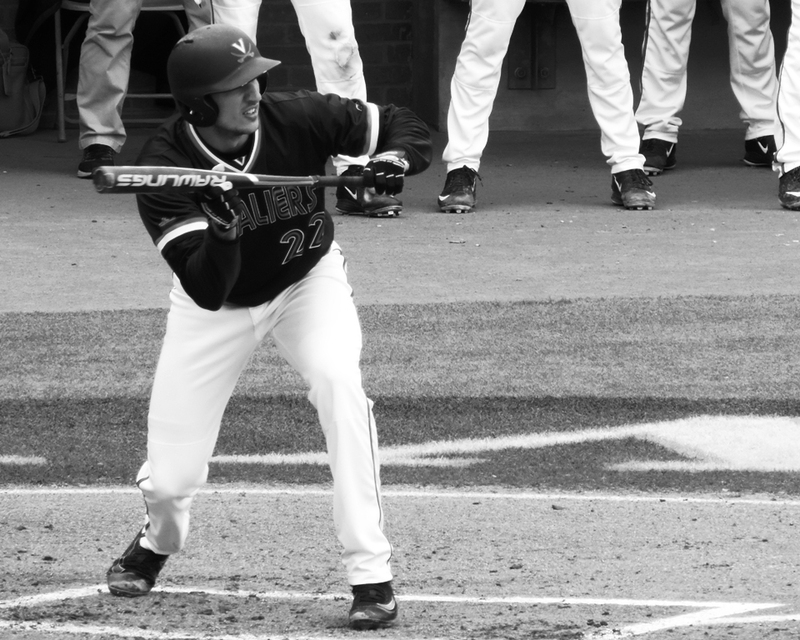 A little cold won’t stop won’t stop a bunt. Shortstop Daniel Pinero. March 2016. This entry was posted in Baseball, Baseball History, University of Virginia and tagged baseball history, Charlottesville, snow, spring training, University of Virginia, Washington Nationals by Jackie, The Baseball Bloggess. Bookmark the permalink. I love this post. It read like something out of a documentary, or Ken Burns’ Baseball with all the black and white photos. Thanks for sharing! Thanks, T. Wayne … what a nice thing to say! The post was nearly done when I happened upon the photo of the Nationals at Charlottesville during spring training in 1915. 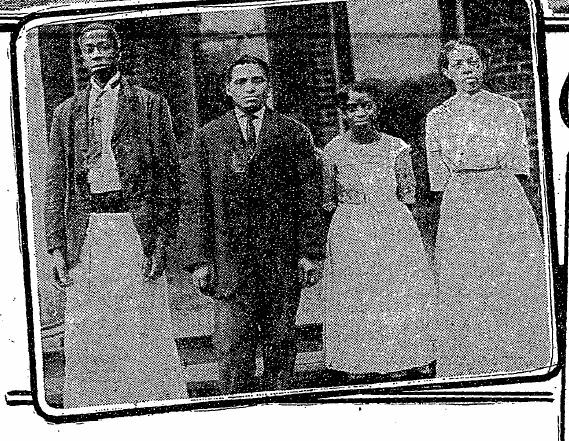 The photo had been incorrectly entered in an online archive as Charlottesville, Georgia (which isn’t even a place) and so my searching hadn’t found it previously. And, I was also excited to see that the old 1894 Orioles once played here, too … made my heart go pitter-pat! Never knew any of that. Thanks for passing it along. I do believe it was the absence of women and booze that made those early sports writers so grumpy. But, what wonderful local history you find for us! Another great history lesson on this wonderful sport and town. Thanks for sharing! Not yet, but hopefully within the next few years. It can’t be too far from the KY. Awesome post, great research!! I still need to make it to my kids’ alma mater for a game. Maybe this season!! Thanks, Mark! I wrote a series of Spring Training articles a couple years ago that include links to more info and I also recommend the book Under the March Sun, by Charles Fountain. You can find my posts here: https://thebaseballbloggess.com/2013/03/31/spring-training-in-charlottesville-va/ and at the bottom of that post are links to the others, including stories about the Cubs in Catalina and Dodgertown.